However losses were trimmed and US crude turned positive after China’s central bank cut the reserve requirement ratio for its banks on Wednesday by 50 basis points for the first time in nearly three years. 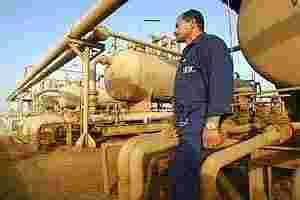 Brent crude fell 49 cents to $110.33 by 1145 GMT. US crude gained 48 cents to $100.27 a barrel. “More paper money in the market, that means more expensive oil," said Thorbjoern Bak Jensen, oil market analyst at Global Risk Management in Copenhagen. “Never mind what bank is doing it - if one central bank is cutting rates or cutting service requirements that is something that supports oil prices in general." The surprise move by China partially offset worries about lack of progress in resolving euro zone debt problems. Euro zone finance ministers who met in Brussels on Tuesday could not say by how much they would increase the firepower of their rescue fund and may turn to the IMF for more help as soaring borrowing costs in Italy highlight the region’s serious structural economic problems. “Europe has still not been able to come up with a clear plan, so there has not really been a change there, and I think there are continued worries," said Olivier Jakob, analyst at Petromatrix in Zug, Switzerland. “When you’re looking at the yields that Italy has to pay and the downgrades on banks, et cetera, we’re not out of the woods yet in Europe." Events in Iran, where Britain evacuated its diplomatic staff a day after protesters stormed and ransacked its embassy and residential compound, were being closely watched, though it provided limited support to the oil price. Further clouding the outlook for risk sensitive assets, Standard & Poor’s cut its credit ratings of 15 big banking companies, mostly in Europe and the United States, on Tuesday as the result of an overhaul of its ratings criteria, reflecting weaker economic times ahead. Investors awaited EIA inventory data released at 9:00pm, which was expected to show that oil inventories fell 200,000 barrels last week and imports probably held steady, a Reuters poll of analysts showed on Tuesday. Data from industry group American Petroleum Institute on Tuesday showed that crude stocks rose 3.4 million barrels last week. Distillate stocks rose 1.3 million barrels and gasoline stocks fell 173,000 barrels, while the refinery utilisation rose 0.5 percentage point, the API data showed. Investors were also waiting for US ADP jobs data at 6:45pm, for more clues on the health of the US economy and the demand outlook. Traders were watching developments in Sudan for clues on disruptions to supply. Sudan has not stopped South Sudan’s oil exports and does not intend to, a Sudanese official said on Wednesday, two days after the acting oil minister said Sudan had halted South Sudanese government exports over a transit fee dispute. On Monday, Sudan’s acting oil minister, Ali Ahmed Osman, said his country had decided to halt South Sudan’s oil exports - roughly 200,000 barrels per day - until the two sides came to an agreement.